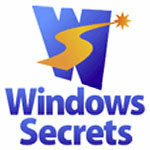 PC Pitstop is proud to welcome our friends at Windows Secrets as guest contributors. This week, enjoy Fred Langa’s 10 “Do these first” Windows Tweaks. The weekly Windows Secrets Newsletter brings you essential tips for Windows, applications, and computing on the Internet. It’s that time of year when many PC users are buying new machines and — ready or not — making the leap to Windows 7. Get off on the right foot: save time, trouble, and frustration by performing these 10 simple Win7 tweaks. I’ve worked with Win7 for a year now, and in that time I’ve learned more than a few tricks and tweaks for setting up and getting started with this new OS. Here are the 10 best that can help you improve Windows 7’s stability and recoverability, make the OS work faster, increase its ease of use, and maximize your on-screen real estate. Feel free to pick and choose the ones that appeal to you. Even if you don’t use any, I’ll bet you’ll learn a few things about Windows 7 that you didn’t know before! (1)Create a system repair disc right away: When you’re starting out with a new OS or a new PC, things sometimes go awry. That’s why it’s always smart to make an emergency boot disk before you do anything else. An emergency boot disk lets you start your PC and perform repairs, even if the hard drive is trashed or the operating system is otherwise unbootable. Having an emergency boot disk on hand can be the difference between successfully completing a quick do-it-yourself repair and having to send your system off to the repair shop! Windows 7’s built-in system repair disc tool creates emergency boot disks, and the whole process takes just a couple of minutes. Click the Win7 Start orb and type the phrase system repair into the search text box. At the top of the search results you’ll see Create a System Repair Disc (under Programs). Click it and follow the prompts. (See Figure 1.) That’s all it takes! Figure 1. Windows 7’s built-in “System Repair Disc” feature makes it incredibly easy to build a bulletproof emergency boot CD or DVD. Put the new disk in a place that’s safe but where you can grab it quickly if it’s ever needed. Bonus info: Lincoln Spector’s July 8, 2010, Insider Tricks column shows how to create a flash-drive version of the emergency boot disk! (2)Use the new “Create a system image” tool: Windows 7 is the first Windows to include an app that makes a complete image backup of your setup. Unlike a conventional file-by-file backup, an image backup is a compressed, byte-for-byte clone of your entire hard drive’s contents. Restoring a saved image puts your hard drive back into exactly the same state as when you made the image. It’s the gold standard of backups and is the only way to absolutely, positively roll back a system to a prior state. Win7 makes image backups a snap. Open the Control Panel and, under System and Security, click Back up your computer. In the left pane, select Create system image and follow the steps. Image backups are great for rolling back an entire system. But file-by-file backups are best for restoring one or more individual documents, photos, or other files you accidentally delete or destructively alter. Open the Control Panel and click System and Security, then Backup and Restore. In the right pane, select Set up backup and follow the steps. For a complete review of MSE, see my September 16 Langalist Plus article, “Security Essentials test drive — month 6,” in the paid section of the newsletter. Figure 2. Microsoft Security Essentials is smaller and faster than most commercial security suites. It’s also free. Windows Secrets emergency boot disk, fred langa, ones that appeal, PC Pitstop, windows secrets. permalink. Got to agree w/ Don Mitchell, as I can’t get past ” go to and key this” . Good idea, WE NEED A PRINT THIS BUTTON , that’s for those of us who don’t have a photographic memory like all the rest of you !! No, not new math. It’s new reading. If you actually read the article you’ll see a link at the bottom of the page that says something like “see the rest of this article”. Sarcasm reaps what it sows. trust micrcrud to accurately back up my files? No thanks, it’s carbonite for my offices, it’s already saved our bacon twice. I read this article as revealing 10 tweaks but only counted four. Is this new math? Don, print the page and you’ll have it. no ‘System and Security’, in control panel of my win 7.??? it would be nice if you had a print button in your how to articles,i want try a few of the (10 do these first windows tweaks, but i cant remember every thing. im good,but not that good. thanks. The first thing that i was amazed about was the system image with the backup tool. I bought a new hard drive and was very easy too restore the image from one drive to the other. I have just changed from McAfee to MSE. I had to use McAfee’s Chat assistance four times in the nine months with Windows 7. It seemed that everytime McAfee “updated the engine” real time scanning stopped operating. McAfee always fixed the problem during a chat session by “updating the engine” but it always recurred. It looks like McAfee has not adjusted to the 64 bit system successfully, or, possibly, Microsoft is up to some of its old tricks of making it difficult for independents to offer competing products. Needless to say, McAfee has refused to refund the balance of my subscription price. MSE bogged down my old E machine /win xp I use for games.